This sample shows the Pie Chart of the approximate air composition. 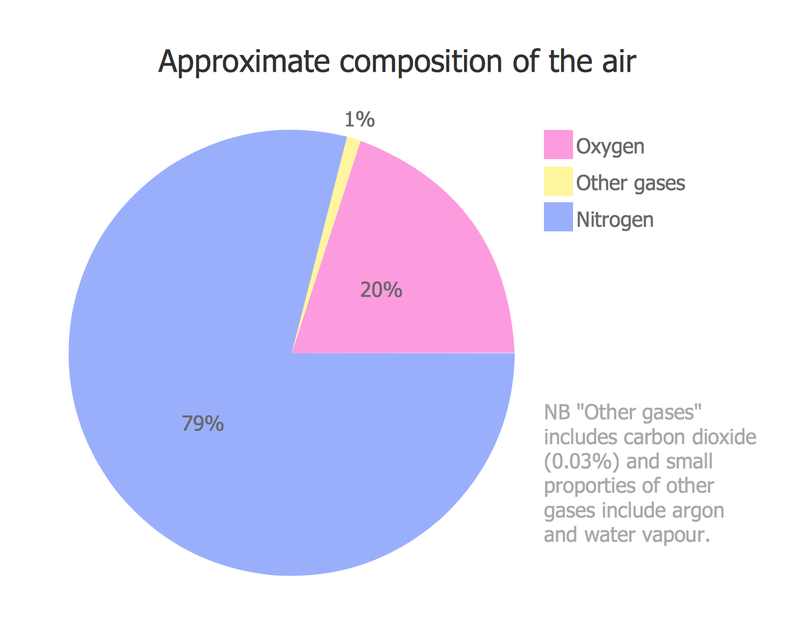 You can see the percentage of oxygen, nitrogen and other gases in the air visualized on this Pie Chart. Using the ready-to-use predesigned objects from the Pie Charts Solution for ConceptDraw DIAGRAM you can create your own professional looking Pie Charts quick and easy.